Featured image: A virtual cure for leukemia – paid for by taxpayers and charity, hijacked and sold for nearly half a million dollars by pharmaceutical giant, Novartis. While Americans squabble over irrelevant political diversions, a revolutionary breakthrough in human healthcare has yielded its first FDA approval – a therapy that literally cures otherwise incurable leukemia. It is the first of many therapies that re-engineer human cells in living patients to reprogram more resilient immune systems and even repair damaged or aging organs. What would seem like headline news has instead squeaked through as a whimper – not because it is insignificant – but because of how this monumental breakthrough has been hijacked by special interests and how these interests plan on making Americans pay twice for its development behind a smokescreen of public ignorance. Thanks to a media focused more on dividing and distracting Americans regarding irrelevant political charades, due diligence in researching the story was either sidestepped intentionally, or a result of unprofessional and incompetent journalism. 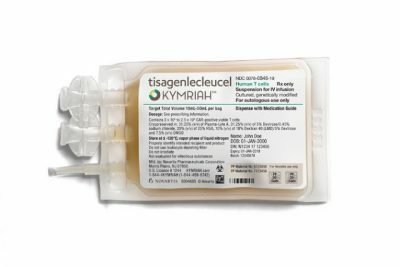 For the past 20 years, American taxpayers through the National Institutes of Health (NIH) and the Leukemia & Lymphoma Society (LLS) helped fund a revolutionary cancer treatment that sidesteps devastating and ineffective chemotherapy and instead, re-engineers a patient’s own immune system to find and destroy tumors. In clinical trials, patients suffering from acute lymphoblastic leukemia (ALL) who were not responding to traditional therapies and would otherwise die, were not only cured, but would enjoy permanent remission. 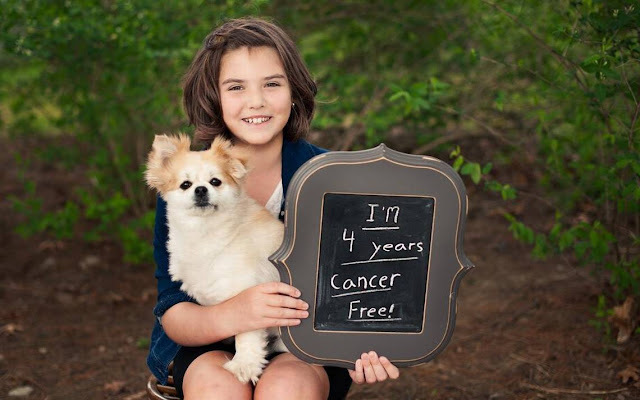 The most stunning success story was that of Emily Whitehead, a young girl who is approaching her sixth year in remission. At the time of her experimental treatment in 2012, she was estimated to only have days left to live. Literally on her deathbed in 2012, Emily Whitehead has been cancer free after receiving treatment in clinical trials funded by charity. The media is now rewriting history, attributing the breakthrough and thriving patients like Emily Whitehead to Novartis. The revolutionary procedure has paved the way for similar “gene therapies” augmenting the human immune system to fight off and eradicate some of the most confounding diseases of our time. The therapies are designed in a laboratory and introduced to patients through a single infusion. For a pharmaceutical industry built on perpetually treating symptoms with refillable prescriptions rather than producing permanent and enduring cures, this new form of therapy represents the end of their business model. David Mitchell, founder of an advocacy group called Patients for Affordable Drugs, said in a statement that the $475,000 cost is “excessive” and claims the federal government spent $200 million in early research on CAR-T therapy before Novartis purchased rights to the treatment. The group recently met with the company to appeal for a “fair” price for its therapy. Previous estimates predicted a price tag between $600,000 to $725,000. Technology Review, along with other mainstream media sources including the New York Times, NPR, CNN, and the London Guardian have all categorically failed to mention the role of both the NIH and charity foundations like LLS. It is either a matter of lazy journalism where press releases are mindlessly churned into “news articles,” or deliberate disinformation to leave readers intentionally uninformed, protecting the interests of pharmaceutical corporations in the same manner the press has protected and promoted wars for the defense industry. Few articles even mentioned David Mitchell, and fewer still mentioned his point regarding the role public funding played in “Novartis’ breakthrough.” LLS’ role in developing the therapy was only mentioned in one article returned by Google News, published by Markets Insider. Novartis clearly did not develop this breakthrough. It merely bought the license to commercialize and market it to the public. While Novartis claims the staggering price tag of $475,000 per patient represents the only way for it to recuperate its so-far undisclosed investment in commercialization, many suspect Novartis along with other pharmaceutical corporations of hijacking public and charity funded gene therapies to set a new precedent – one in which a single infusion that provides a lifetime of health is paid for by the patient, insurers, and taxpayers for a lifetime – regardless of the actual cost of producing it. In reality, the cost of curing Emily Whitehead in 2012 under highly experimental conditions, using customized equipment cost under $20,000. The head researcher, University of Pennsylvania’s Dr. Carl June, has repeatedly stated in public that while the cost was under $20,000 when he and his team provided the therapy, upon commercialization, with automation it should cost even less. We couldn’t get funding from the National Cancer Institute to do that trial. You know, we’re in a real problem, disarray right now in national funding of research. It was all done by philanthropy. We received a lot of money over the last 15 years from the Leukemia [& Lymphoma] Society and they’ve been the primary ones that developed this. There was no industry support available. While undoubtedly Novartis invested money in commercializing the therapy, it surely did not invest in producing the breakthrough. And if taxpayers and charity can fund the bulk of the research and development behind this revolutionary breakthrough, it certainly can create a trust to provide affordable public access to it. It appears that Novartis and other pharmaceutical giants have used charity organizations like LLS as a means to subsidize their research and development budgets, shifting costs of development to the charitable, and keeping the profits to themselves. At LLS, we work toward finding cures and ensuring blood cancer patients have access to treatments. Over our 68-year history, we have invested more than $1 billion in research to advance lifesaving treatments and cures. 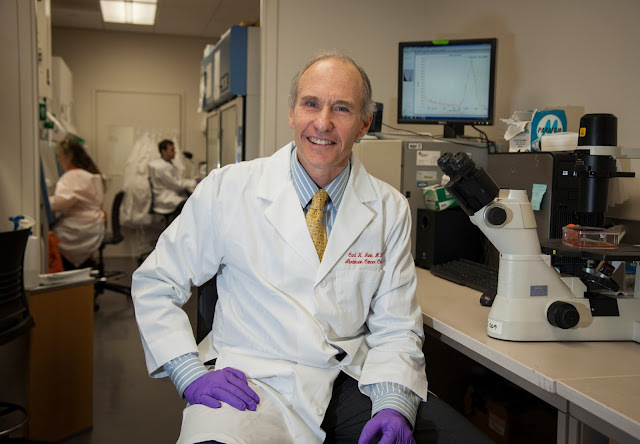 Over two decades ago, LLS began investing in research conducted by Carl June, MD, and his team at the University of Pennsylvania and the Children’s Hospital of Philadelphia. We funded the academic researchers working to develop this treatment, and had no role in Novartis’s licensing of the therapy. Our partnership with Novartis is completely unrelated to CAR-T development. Novartis, as do other pharmaceutical companies, provides funding to LLS to support our patient education and support services. Not only did the LLS representative fail to counter claims against Novartis and its abuse of charity, it appears that LLS is itself confirming Novartis licensed and is overcharging for a therapy it played no role in actually developing. When asked to clarify LLS’ relationship with Novartis and what role – if any – Novartis played in developing a therapy it is now charging nearly half a million dollars for per patient, LLS representatives failed to respond. Imagine a future where heart failure or cancer requires only a trip to a local clinic where healthcare professionals access a database of therapies, synthesize one for a patient and provide them with an infusion in a single day. Imagine only needing to come a day or week later for a follow up to check on the therapy’s efficacy. Imagine paying as much for this as you would for treating a sore throat. This is a future quickly becoming a possibility – but for now – only a possibility. With pharmaceutical giants like Novartis wielding immense lobbying and media influence and seeking to protect their multi-billion dollar multinational monopolies over human healthcare, such a future will only ever be a possibility – not a reality. Demolishing these antiquated obstacles to human progress first requires raising awareness of not only the pharmaceutical industry’s deep corruption and predatory abuse, but also the technical aspects of emerging technologies like gene therapy that do not cost “$475,000” to provide to patients and with genuine research, development, and commercialization, could be offered for less than current and ineffective therapies already on the market. So-called “professional journalists” have categorically failed to provide even the most basic information regarding the background and development of this latest breakthrough, giving Novartis a head-start in extorting the public the villain’s sum of nearly half a million dollars for a therapy already paid for by taxpayers and charity. Such injustice can only continue as long as it goes unreported by the media and uncontested by activists and innovators. 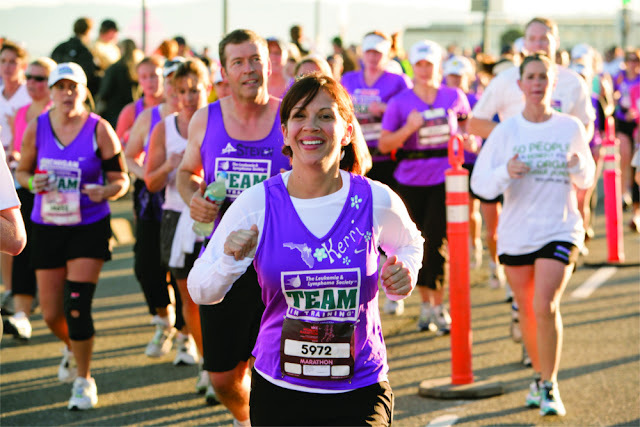 Increased awareness means a public more able to manage its resources and support for charity and private enterprise that is able to provide a complete, transparent, and equitable pipeline from research and development to providing affordable access to patients. Technology is offering modern civilization the tools to cure virtually any ailment for increasingly affordable sums, but only if we are able to move past the antiquated pharmaceutical industry attempting to horde and restrict access to them. The original source of this article is Land Destroyer Report.